Q. How can I print from my personal device? Type in your WesternAccount ID and password, click ok. 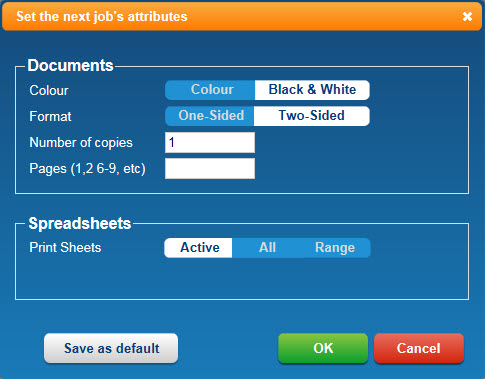 Your job will now be ready to be released from any StandardGSM printer. Please note that your job will only remain in the print queue for 60 minutes. Once you’ve sent your email, it may take a few minutes to appear in the Current Activity tab. If you are happy to print in double-sided Black and White in the future, you can email webprint@westernsydney.edu.au directly, without logging into WebPrint.